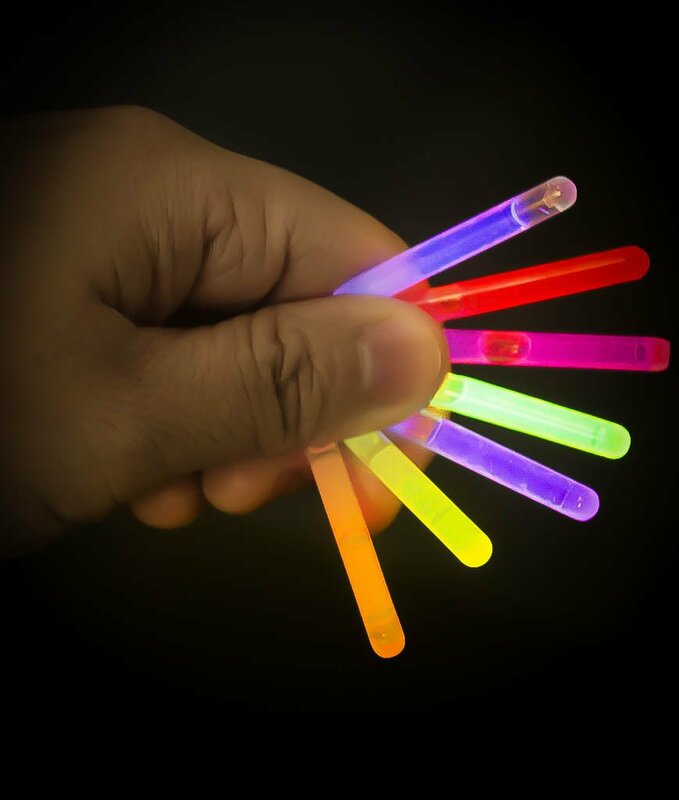 Size: Mini - 1.5 Inch | Color: Assorted - 50 ct Our 1.5 inch mini glow sticks make great decorative items and are perfect forcreating a glow in the dark centerpiece. They also make perfect fishing floatsfor night fishing! Measuring approximately 1.5 inches long and 4.5 mm indiameter, they glow 1 time, for 6-8 hours. When you're ready to use the item,snap it and then shake it. Sold by the box (50 glow sticks per box).